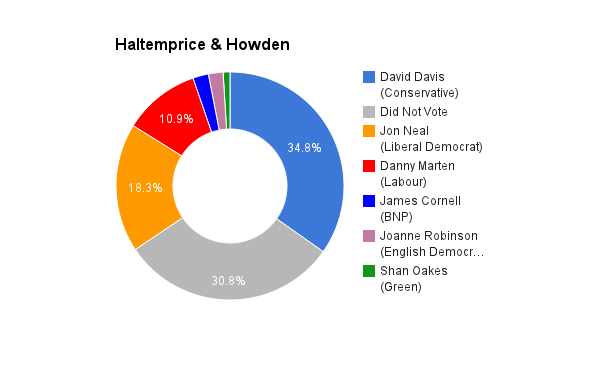 Haltemprice & Howden is located in Humberside in the north east of England. The seat was created in 1997 and has been held by the Conservative party ever since. The current member of parliament is the Conservative Party’s David Davis who has served since 1997 (Boothferry 1987-1997).